Event Espresso’s Printable Tickets Add-on includes functionality to include both Barcodes and QR Codes within your tickets, so which one should you use and why? First a quick introduction into barcodes and QR Codes. Most people know what ‘standard’ Barcodes look like as they are used across the globe in every super market and on almost every product we buy, but what are they? They are simply a way to store information that can both easily and quickly read using various barcode scanners or apps within your mobile device. They are basically black vertical lines on a white background. 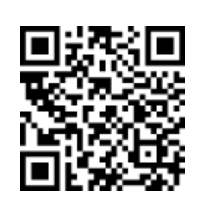 QR (Quick Response) Codes are actually just barcodes, only in another format than we are used to seeing. These are normally a square block made up various other blocks combined together, they are more flexible than barcodes and can include more information. So now we know the difference between the two, why do we need both? Well the more data you add to standard barcodes, the closer the black lines are to each other, the wider the barcode and the harder they are to scan. The better quality your scanner the less noticeable this is, however we want EE4 to be accessible to as many users as possible. 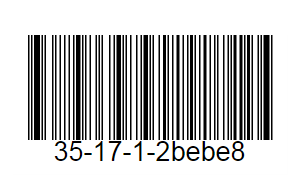 We include a short code that can identify the user holding the ticket which can be placed within the standard barcode without causing issues when scanning. You can see this in the standard barcode example above and we call it the short_code, which is used by default with those barcodes. It also depends on the type of scanner you are using, if you have a barcode scanner you can continue to use barcodes. Have a scanner compatible with QR codes? Use those instead of (as along side) the standard barcodes. Of course, you can always download our free mobile event apps. The reason we include both is to provide the greatest flexibility and provide whichever option suits you best.